You are here: Home / LifeTopix / Common Questions / Q. 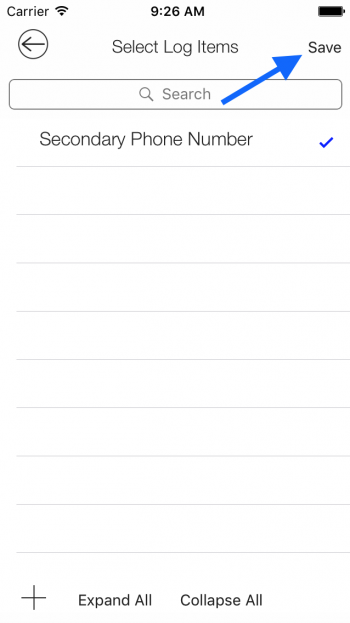 How do I add and use custom data fields to contacts? 1. 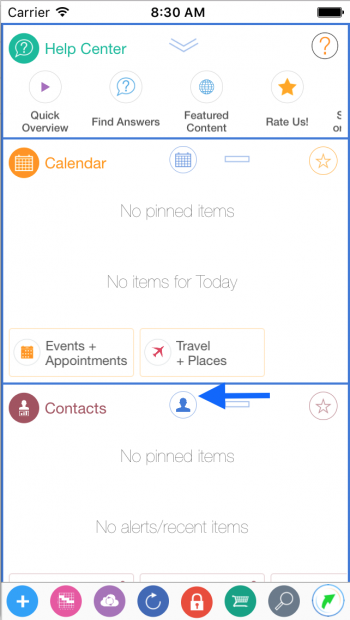 From the modern dashboard tap the contacts button to expand the card to the Contacts “Topic” view. 2. 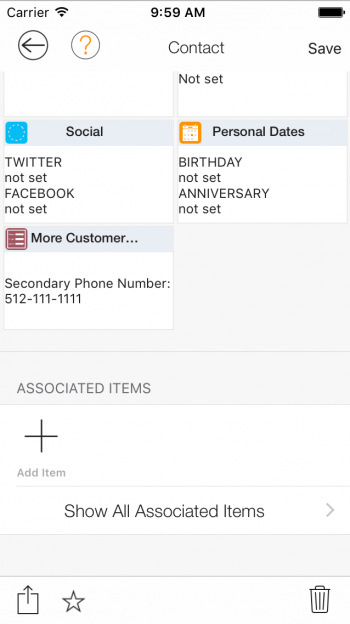 From the expanded Contacts card view tap the “Custom Data” tile. 3. 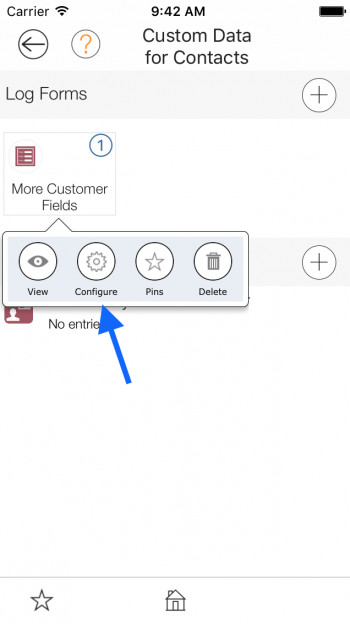 From the “Custom Data for Contacts” view tap the ‘+’ button to create a form where we will add log items that will appear in the Contact detail views. 4. 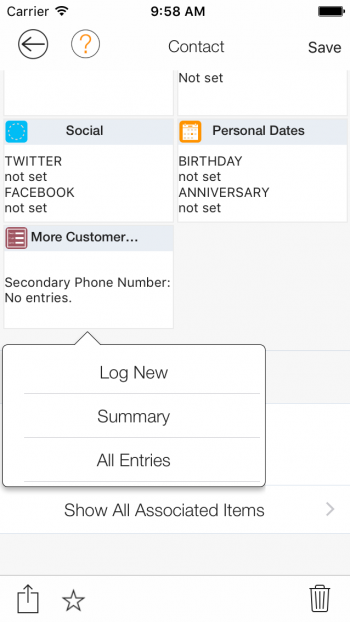 Next enter a name for the log form and tap the button “Tap to add Log Item”. 5. 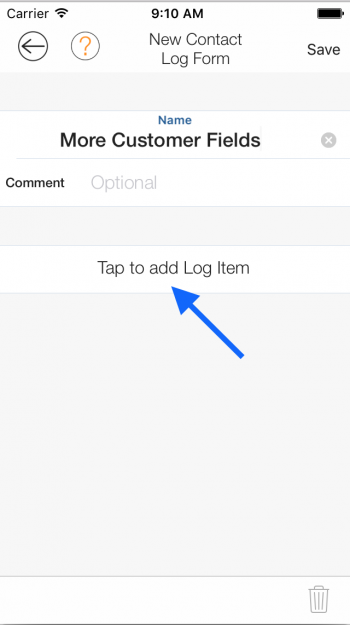 Next tap the ‘+’ button to create a log item that will be added to the form. 6. 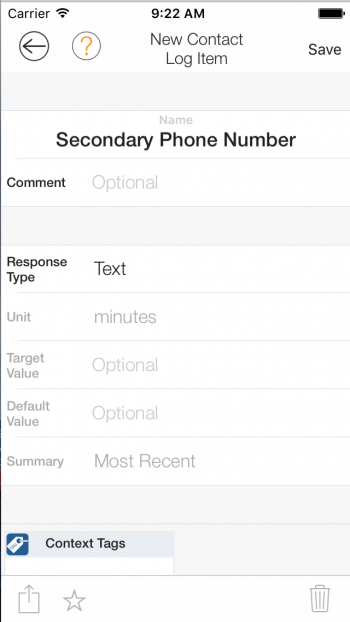 Enter the name for the custom field and set the “Response Type”. Then tap the “Save button. 7. From the “Select Log Items” tap the “Save” button. 8. 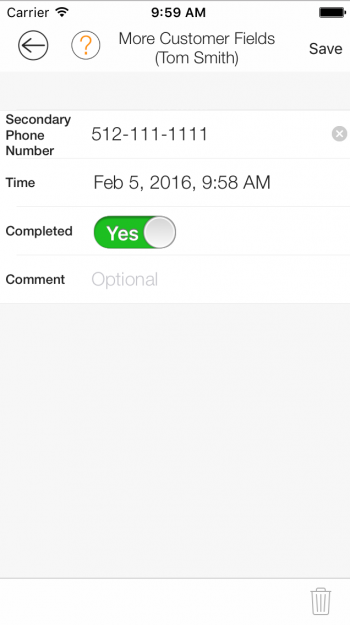 On the Log Form view tap the save button. 9. 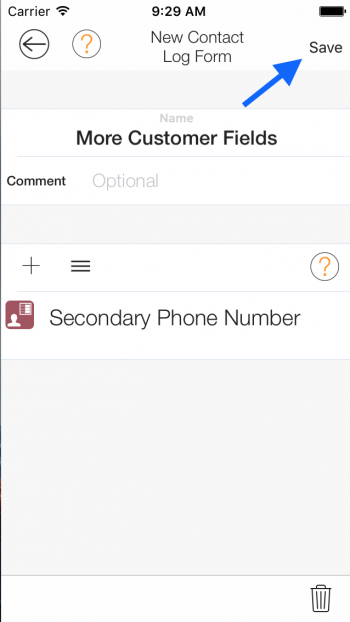 Now the form appears in the “Custom Data for Contacts” view. 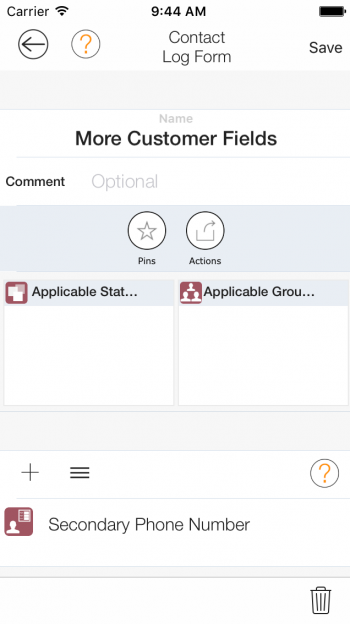 If you tap the form and then tap “Configure” on the contact log form you can set the Applicable Statuses and Applicable Groups tiles. These tiles determine which contacts the form will appear in if they match the criteria set in those 2 tiles. 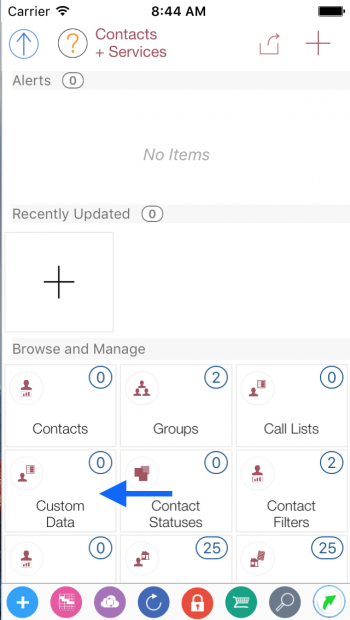 If you want the form to appear in all the Contact detail views then do not set the Applicable Statuses or Applicable Groups. 10. 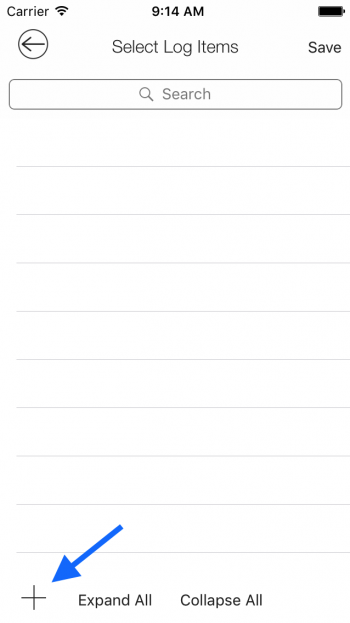 To enter information in the custom form open a Contact detail view. 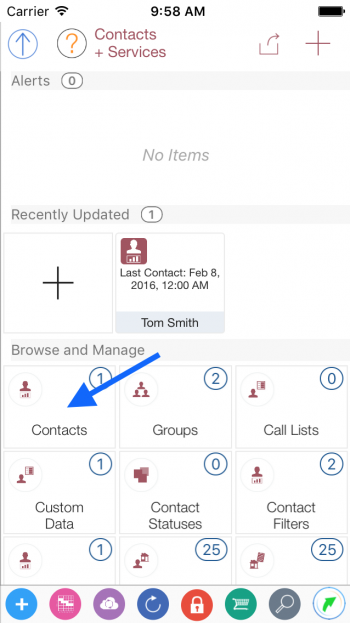 Go to the “Contacts + Services” topic view and tap the “Contacts” tile. 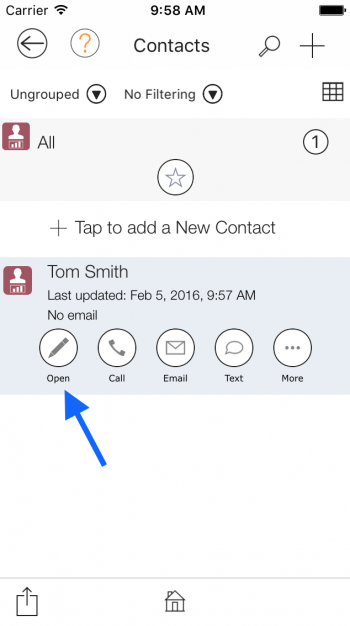 From the “Contacts” view tap a contact and then tap the “Open” button. 11. 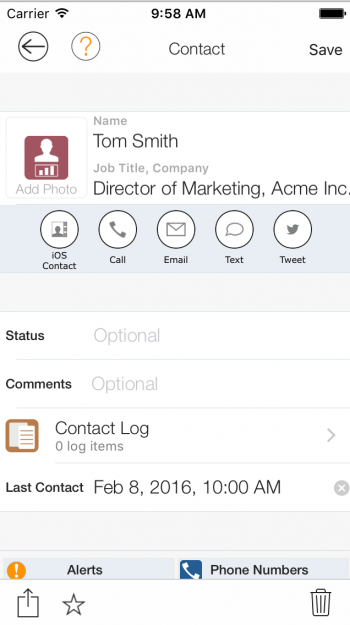 From the contact detail view scroll down until you see the custom log form, and then tap the form. Then tap “Log New”. 12. 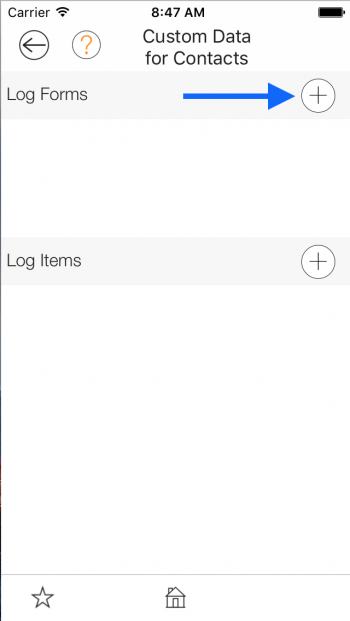 Now enter the information for the custom log item and tap the “Save” button. After saving you can see the information in the tile.